Hey! 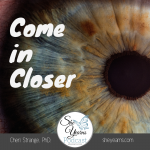 Welcome to the She Yearns Podcast! Is yours a faith that can move mountains? Would you like to have a better understanding of how to make your faith work? It’s not for the faint of heart. Or the cowardly. But there is nothing to be afraid of because the Word of God is clear. God’s desire for your life is that it bears much fruit. Fruit that will last. But where does faith end and works begin? Or do they intersect? What’s the deal? 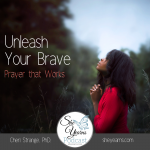 In this episode, Cheri takes us beyond the surface to discover how we can make our faith work. Just so you know — you can now find today’s episode, Make Your Faith Work and other episodes of the She Yearns Podcast from iTunes, GooglePlay, Stitcher, or SoundCloud. Just click on the links below! As always, you can scroll down and listen right here!